If you happen to be in Dubai between now and December 30, drop by the Dubai Aquarium & Underwater Zoo to check out their Great Otter Art Exhibition, an interactive animal skills training project for their otters. Visitors can participate in interactive, educational presentations (and help select paint colors), and kids will have a space to create their own paintings. 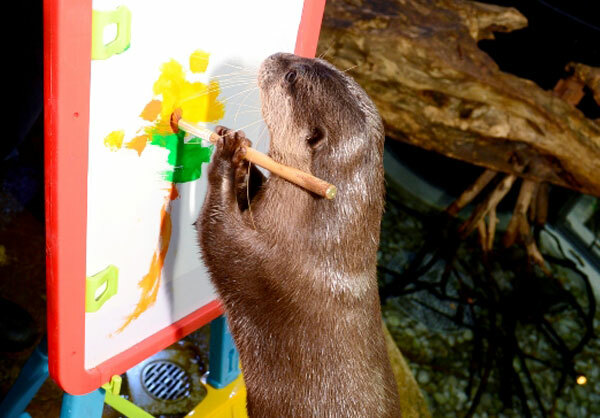 Afterward, otter fans can check out the otters' paintings in the aquarium's gallery. Go here for our previously posted video of another painting otter!